The ALAI symposium on the Copyright Board of Canada – Which Way Ahead took place on May 25, 2016 in Ottawa. I will not summarize everything that everyone said. There was a lot and most of it was quite good. These are just a few highlights that I can remember in no particular order. It was a constructive conference and I hope it was archived and will be webcast soon. The conference opened with a fairly lengthy speech with fairly familiar content by Prof. Marcel Boyer, O.C., who is a frequent music industry expert witness at the Board. He essentially restated his expert evidence on the valuation of music in the commercial radio context, which has also formed the basis of a C.D. Howe Institute paper. It is interesting that the C.D. Howe Institute would publish, as a peer reviewed paper, a document that Prof. Boyer himself admits “builds on testimonies I provided over the years as an expert witness before the Copyright Board of Canada and the supporting reports that I co-authored”. Prof. Jeremy de Beer then moderated a panel in which he took a major role himself, including a laminated handout, complete with a QR code, summarizing his government funded study published last year, which I have written about at length and, with respect, great skepticism. 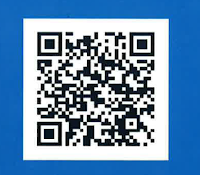 Here is his QR code, which is one way to get to his study, if you want to read it on your smart phone. 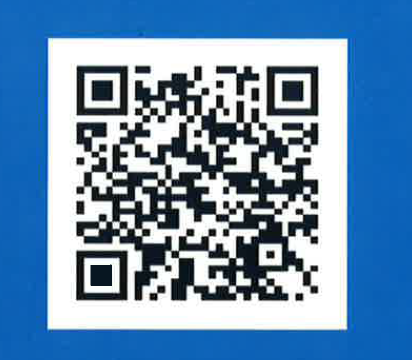 This is my first experience with the use of a QR code by an academic. Such astonishingly high numbers of tariffs may be useful for generating sufficiently large numbers to apparently justify some sort of presumably expensive statistical analysis of Board activity. But such an arguably artificial methodology, dependent on dissection, unfortunately obfuscates the actual numbers that really matter and exaggerates the ones that do not. The really important numbers, using the Board’s own taxonomy, as seen below, are quite probably much too low to be susceptible to statistical analysis. On average, the board issues about 9 decisions every year, which encompass over 70 tariff units, including a significant proportion that have been the subject of public hearings. Even former Chair William Vancise cannot resist using this new number of “70 tariff units”. In the written text of his speech at the event - see below - he states "On average, the Board certifies over 70 tariff units annually. This volume alone could justify a marked increase in current resources." Note the Board’s careful new use of the term “tariff units” – in contrast with what it has always called simply “tariffs”. And note that, while these comprise “a significant proportion that have been the subject of public hearings”, it is also true that a significant number of them do not because they are unopposed and often economically insignificant. With respect, these numbers are inconsistent with the taxonomy of what the Board itself has always considered to be a “tariff” and a “decision”, which can be readily seen on the Board’s own website and in its annual reports. During the 15 years study period, the Board certified only 74 tariffs, according to its own taxonomy – many of which were uncontested. The Board certifies on average 4.9 tariffs per year. This is greater than the number of decisions per year, since many of these tariffs are unopposed because they are unimportant or the objectors cannot afford to participate in the Board’s process, or for other reasons – such as the oppressive and intrusive interrogatory process. The Board normally renders only about two or three important decisions per year. It is entirely unclear where the figure of “9 decisions” comes from. It often takes four years or more for a contested tariff to get to a hearing. I presented these numbers at the ALAI event and nobody took any issue with them. Two or three decisions and 4.9 tariffs per annum do not require or even permit any application of statistical methodology. At the present time, it is simply unclear whether the Copyright Board is now settling into its role and the process is becoming faster, or whether the complexity continues to grow and the tariff-setting process is in fact taking longer than it was several years ago. Only more time, and more data, will tell. It does not require even simple arithmetic to see that the Board often takes at least six years to deal with its contested tariffs – and that is before the now seemingly inevitable judicial review. Unfortunately, I must conclude that Prof. de Beer’s study obfuscates these numbers. It seems that everyone other than him, and even the Board’s retired Chairman Justice Vancise, seems to acknowledge that it is often taking the Board 24 months or even longer to render a decision after a hearing, and that the hearing may have been four years or more in the making. We don’t need any more statistics or study to get that point. As for the dozens, or hundreds or however many other unopposed, and usually economically insignificant “tariff units”, we also don’t need more statistics or study. There is clearly a management problem at the Board in dealing with these kinds of routine files – and the implementation of regulations imposing deadlines on the Board would seem to be the only reasonably assured way to solve the problem. But even the shortened average timelines in Prof. de Beer’s study, which do not reflect the above reality, are still cause for concern, as was apparent at the ALAI event. This was evident in the response of Jason Kee of Google and others who spoke for powerful interests, who emphasized that new technology moves very quickly and delay and retroactivity are serious concerns, even for an enterprise as powerful as Google. Also on Prof. de Beer’s panel was Prof. George Barker, a regular expert at the Board for the music industry – who somewhat surprisingly and frankly pointed out that calls for greater resources should be viewed in light of the inherent self-interest of every government institution and those who manage it to call for more resources. Stephen Ellis of the Canadian Retransmission Collective pointed out that delays and retroactivity can case great problems even for the beneficiaries of such as lucrative tariff as retransmission, where there have been serious problems in the allocation of money years after the fact due to delay and retroactivity. 1. Proposes that the Board should be able to award costs. This suggestion was dismissed by retired Chairman, William Vancise, who noted that, during his tenure, he had not observed any egregious behavior on the part of parties or their counsel and that he could see no reason for a cost award regime. It would seem obvious that collectives never get what they ask for – and this alone would hardly seem to be the basis of awarding costs. Prof. Daly provides nothing specific on this inherently controversial suggestion. 2. Proposes a number of fairly obvious recommendations about case management, to be dealt with through regulations proposed by the Board itself and approved by the Governor in Council including the early exchange of Statements of Case. The report stops short of suggesting or even considering regulations directly from the Governor in Council that could be far more potent and effective. 3. Recommends that the current Directive on Procedure be retained. The study contains some useful, even if fairly obvious, references and commentary regarding some other tribunals. The study stops far short of suggesting time limits, qualifications of Board members, etc. or anything else of any specificity that would have any significant impact. This frankly restrained and inconclusive study will neither cause much offence nor lead to much change, even if followed. Like so many other consultants’ studies, it mainly seems geared towards the need for further study. Something more concrete would have been more useful. Interestingly, there is no consensus overall on the widely asked question of why the Board, unlike any other court or tribunal of which I am aware, allows discovery to take place – sometimes seemingly endlessly and without apparent limit – without requiring a collective to file at least some specific basis of the factual and legal underpinning of the reason why it is seeking to collect millions of dollars a year – up to $200,000,000 per annum in the current retransmission case. Likewise, objectors should state why they are opposed. In my experience, the objectors do a better job of this at the beginning, even under the present unregulated system, than the collectives. Even veteran counsel on both sides of the fence do not agree that anything approaching the equivalent of a “pleading” or “notice of application” should be provided up front – which is what normally happens everywhere else. For my part, I asked why an organization such as SOCAN that has been around for about 90 years and knows very well how the radio and other copyright intensive businesses work, cannot figure at the outset at least the basic factual and legal underpinning of tariffs that could cost it and any objectors millions of dollars to determine and hundreds of millions of dollars to users who have to pay. No court would tolerate such vagueness and lack of particularity – especially from such sophisticated and ultra-experienced parties. Fishing expeditions are not generally tolerated in the justice system – especially when the fish are endangered species. Several speakers noted the potential financial costs of delayed and highly retroactive decisions, and of course the obvious fact that technology and business practices change so quickly that the uses dealt with by a tariff may be obsolete long before the decision is rendered. A year is a very long time when it comes to things like webcasting, streaming, downloads, etc. Six years or more is an eternity in today’s business world and particularly so in the digital technology space. I know of no other board or tribunal in Canada that takes so long to hold a hearing or render a decision. Judge David Strickler, from the US CopyrightRoyalty Board (“CRB”), explained that his Board, which has a support staff of only two professionals and one administrative person, is required by statute to render decisions by certain tight and specified deadlines – and it does so. That is because it has no choice. It’s also notable that the US law requires that all three CRB judges be lawyers, that one has expertise in economics, and one have expertise in copyright law. They presumably hit the ground running. The CRB’s decisions can be much longer and more detailed than those of Canada’s Copyright Board – and issue much quicker. There seems to be much less recourse afterwards to the Courts. I pointed out that Canada’s sui generis Patented Medicines Notice of Compliance regime cases must result in a written judgment decision within 24 months from the start of the application. This is required by law. The cases can be very complex both technically and legally, involve up to ten experts and may involve far more money than many of the Copyright Board cases. The Federal Court routinely disposes of several dozen of these invariably complicated cases each year – and invariably within the time limit set by regulations – 24 months from start to finish. A substantial number of these dispositions involve hearings with voluminous applications records, and can result in very lengthy decisions replete much science and much law. For example, here’s a PMNOC decision released today that’s 132 pages long (in English) with several diagrams of molecules and other arcane discussions of pharmaceutical chemistry. The Federal Court now has set the norm that even the most complicated cases should be heard within two years of commencement and a judgment rendered within 3 or four months afterwards. The Supreme Court of Canada normally renders its judgments in less than six months after a hearing. All of this data was in my slide show – see below. The grand finale of the day was a rather intense speech by retired Justice Vancise with some interesting reminiscences. He is still “seized” of a couple of files if I heard him correctly, even though he retired over two years ago as Chair of the Copyright Board. A written version of his talk is available here. It lacks some of the frankness and colourful and sometimes even personally specific spontaneity of his actual remarks. Whether one agrees or not with everything Justice Vancise has to say, his enthusiasm, impassioned and sometimes outspoken rhetoric – both written and verbal - on what he believes to be right are certainly noteworthy and unusually interesting for a sitting or former jurist. Michael Geist has also commented on his talk. While Justice Vancise claimed to be speaking only personally and not for the Board, he was very explicit in concluding with a plea for a “consensus” that the Board needs more money so that that Board can hire more people. He suggested that some of the changes in the 2012 legislation, such as making available right, the user generated content and parody provisions will expand the workload of the Board. I frankly do not understand this point. Most, if not all, of these amendments will conceivably have only a potentially marginal effect on tariffs that are no longer de jure or even de facto “mandatory”. Laws evolve – it does not necessarily follow that boards and tribunals need to expand to keep up with this evolution. In the case of the Copyright Board, the Board is normally blessed with party briefs from some of the best and best paid copyright counsel in Canada – except where parties withdraw or choose not to participate, for whatever reason. The Board also has four very capable lawyers on staff full time – which is more lawyers than the number of significant decisions that the Board normally issues each year. Indeed, for whatever reason, as the Board’s legal staff gets larger, the delays seem paradoxically to get longer. With respect, I believe that more money and more people for a Board that already has a staff that is already 500% larger than its US counterpart and substantially larger than Canada’s Competition Tribunal will only slow things down even more. This may even increase the likelihood of administrative law challenges based upon failure to disclose background briefing material and the important maxim that “S/He who hears must decide”. At the end of the day, what is needed are regulations setting out deadlines and procedures, including case management, that bind not only the parties but the Board. All comparable court and tribunals operate this way. There is nothing unusually complicated about copyright law or rate setting that would justify the culture so clearly entrenched at the Board that assumes that its cases are uniquely complex and require so long and so much resources to determine. Much of this culture is no doubt attributable to some veteran counsel who may understandably be in no hurry to be in a hurry. Long cases usually result in bigger bills than short cases – unless, of course, the client reaches the breaking point and withdraws or declines to engage altogether. And, in many cases, even the objectors are under no great pressure to minimize costs because legal costs can be passed along, at the ultimate expense of both creators and the general public who pays a bit more for cable bills, or a “wedding tax” each time they get married. Moreover, as Justice Vancise pointed out, tariffs such as the “wedding tax” occasionally make headlines and cause much political consternation. This culture has also resulted in an attitude on the part of some that the Federal Court of Appeal and even the Supreme Court of Canada should be more deferential to the way the Board works and the results it reaches. The implication that the Board and some of the regular counsel and experts who appear before it are so expert in copyright law that the courts should keep their distance more so than usual is not only inappropriate. It is also symptomatic – and perhaps even a causal factor – of the Board’s unsustainable isolation from the comparable international norms of the regulation of copyright collectives, or any other comparable kind of economic regulation, such as antitrust. The Copyright Board already gets special treatment in terms of judicial review in Canada, being one of the few elite tribunals whose cases go directly to the Federal Court of Appeal. The Copyright Board should welcome – rather than try to avoid – the teachings and guidance of the Federal Court of Appeal and the Supreme Court of Canada, which have provided very constructive and often essential guidance and occasional correction to the Board. There were some other interesting themes that came up during the day. There was some interesting discussion later on about the phenomenon of “expert” witnesses who have appeared over and over on behalf of the same clients at the Copyright Board and whether some of them might fail to be “qualified” in the normal courts due to a perceived or perhaps even actual lack of independence. I am not suggesting that this concern applies to any particular person. However, even Justice Vancise and others acknowledged the issue later in the day and Justice Vancise even mentioned one or two individuals by name. I emphasized that the recent Supreme Court decision in CBC v. SODRAC will force the Board to establish tariffs that will have to be attractive to users, once users understand and accept that tariffs that are not “de facto” mandatory can be ignored if there is a better and cheaper way to clear their copyright needs. The SCC’s footnote about retroactivity is also an important signal that should be noted by the Board. Overall, I am firmly of the belief that we do not need more studies about the Board – unless they are directed towards specific recommendations for solutions based upon comparative best practices and benchmarks. The problems and all the essential numbers are already known, as I have shown. And the experience of the US Copyright Royalty Board is transparently available. Also, the Canadian Competition Tribunal – which is receiving increasing attention as a comparative model – is also readily transparent on its excellent website. It’s time for sensible and sustainable solutions – not more inconclusive studies. In conclusion, this was a good conference. Overall, there was general agreement that things need to move much faster and cost much less at the Board – but little agreement on how to get to this result. There was much frank discussion. But it was all cordial and well balanced. Even Ariel Katz and Barry Sookman agreed with each other on one or two points, such as the desirability of competitive market based licensing. Justice Vancise and I also agreed on the inappropriateness of the Music Canada campaign to lobby the new Chairman. Indeed, Judge Vancise was even more outspoken than me on this point, using the words “completely unacceptable”. ALAI is to be thanked and congratulated on this major event in Ottawa. One hopes to see more such conferences in the future. How will the parties deal with the fact that the Supreme Court of Canada (“SCC”) ruled on November 26, 2016 that “licences fixed by the Board do not have mandatory binding force over a user”? In the current case involving York U, it wasn’t even a final tariff. It was only an interim tariff. I’ve written about this issue at length. This is no longer theoretical. The mandatory tariff issue has been dealt with by an explicit ruling from the Supreme Court of Canada, Here’s my most recent blog, which includes useful links to the decision itself, the dozen or so key paragraphs and the factum that Prof. Katz, Prof. Lametti (now David Lametti, M.P.) and I used to make the points that the Court embraced. If York successfully argues that Board tariffs are not mandatory in this instance, this may make the rest of this extremely long, complicated and expensive case effectively moot. That is because Access Copyright did not and cannot sue for copyright infringement. It is not a copyright owner or even an exclusive licensee. Even if were the latter, which it is not, it would need to join the actual copyright owners, which it did not. So, all eyes will be on the parties to see how they deal with this issue. Since there has been enormous discovery work and expense devoted to putting York’s fair dealing policy on trial and most, if not all, of this presumably took place before the SCC’s ruling in CBC v. SODRAC, one expects that the parties and the Court will address it any event. In this regard, it will be interesting to see how the parties deal with the 2012 “education” amendment to the Copyright Act and two fair dealing decisions from the Supreme Court of Canada from 2012. Furthermore, there have been two decisions from the Copyright Board since dealing extensively with the application of fair dealing in institutional settings involving Access Copyright. This is an extremely important case. There have been about three weeks of evidence, including much expert evidence. No doubt, costs are already enormous for both sides. Given the recent rulings by the SCC on the mandatory tariff issue and by the SCC and the Copyright Board on fair dealing, Access Copyright would seem to be facing a major and existential challenge here. On the other hand, if York fails to succeed on the mandatory tariff issue, the consequences to the educational system could be profoundly negative. If York succeeds on the mandatory tariff issue – and succeeds on the appeal that may follow – any ruling on York’s fair dealing policy may technically be obiter dicta but could still have interesting implications in all the circumstances. Meanwhile, the Copyright Board is deliberating on AC’s Post-Secondary tariff. That hearing concluded in January of 2016, although the Board is still asking some interesting questions of AC, such as whether the Quebec COPIBEC regime should be relevant. This could, given recent practice at the Board - but hopefully won’t - drag on for another two years. Also, meanwhile, the Federal Court of Appeal has just heard a judicial review application on June 20, 2016 concerning the AC Provincial Government Tariff. That hearing also involved fair dealing issues and "substantial copying". Unlike, the typical two year delay in Copyright Board rulings, the Federal Court of Appeal normally renders its decisions in weeks or months – typically a few months at the most. We live in interesting and interconnected times. Is the Senate Rushing to Judgment on Bill C-11 (implementation of WIPO Treaty for the Blind)? The Senate is rushing at unusual speed to hold hearings on Bill C-11 - a bill to implement the WIPO Marrakesh Treaty for the Blind. There are reasons to be concerned about the "commercially available" exception to the exception and the possibility of collective and Copyright Board involvement. I’ve written this here and here. The Senate announced late on Friday, June 10, 2016 that is will hold a Committee hearing next Wednesday, June 16, 2016. That is far from adequate lead time for anyone who may wish to prepared constructive comments - assuming that potential witnesses are even available on such short notice. I’m hearing reliable reports that Canada wants to be early in line to ratify the treaty – which is commendable. But that is not a good enough reason to rush the passage of a flawed implementation bill that may actually serve as a disincentive to the production of material for blind persons by both publishers and organizations working for the blind. There appears to be the possibility of potential Trojan horse provisions not required by the Treaty that could enable royalties and the prospect of Access Copyright, for example, applying for a tariff at the Copyright Board. Even the mere possibility of such a development is more than enough reason to pause for sober, second thought.